Thanks very much for posting all of the fabulous photos you have but especially those of the Seminoles! Wow, I has found a nice photo of Seminols! 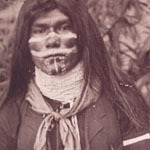 Chief Billie Bowlegs, a direct descendant of Chief Secofee, who was one of the first Miccosukees to occupy Spanish Florida. 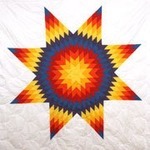 Billie Bowlegs camp was around what is today Peeples Ranch, on the western side of Lake Okeechobee, off Highway U.S. 27 and highway 78, on Glades and Highland Counties. It is a beautiful area with high land and oaks and earth mounds. Second Picture shows Seminole women pounding corn with a kistapee, a five to six foot wooden pole that can weigh thirty to forty pounds. The bottom part is called the keyeache. Most common meal is sofkee, cornmeal, which is sun dried after is pounded. It is than boiled to get rid off the salt. It is usually available all day for anyone in camp to eat.